Right across from the biggest shopping mall in the city sits the Pattaya Night Bazaar. It is a modern take on a traditional Thai outdoor night market you find all over Thailand. From the outside it doesn’t look like much and from the sidewalk it looks like any other store selling goods. However, when you venture inside you will be pleasantly surprised. There are dozens of small shops that line small walkways, each selling their own types of goods. The aisles are big enough for you to comfortably walk through and the air conditioning makes for a pleasant browsing or shopping experience. 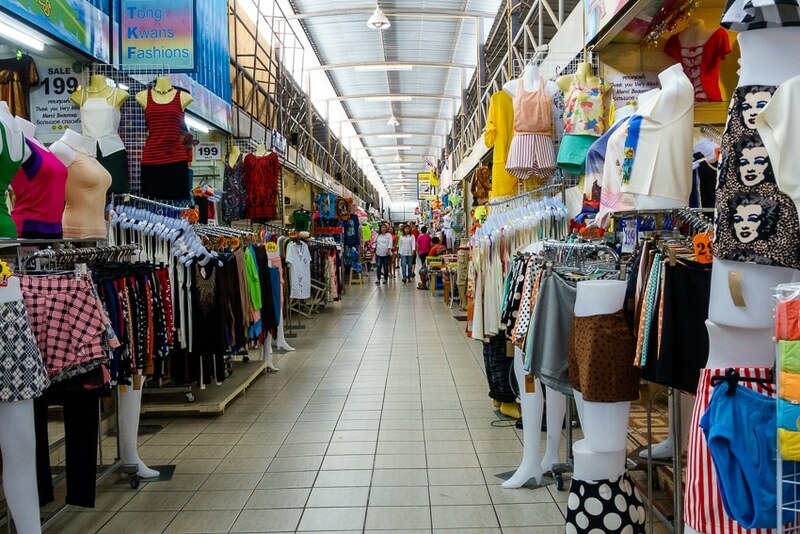 Although named the Pattaya Night Market it is most certainly open during the day as well. During the day light shines in through windows near the roof making the Bazaar feel very welcoming. The building is rather large so there are plenty of these small stands to check out. You can spend a good hour walking up and down the aisles if you are really taking some time looking in each shop. You’ll find a wide range of goods on offer. There are tourist souvenirs, clothing of all types, bags and luggage, sunglasses, hats, and all sorts of various items for sale. The prices of goods here are quite reasonable and a little bit of haggling could find you getting a very good deal. The products are a mix of local items and big brand knockoffs, so buyer beware in those instances. It is well worth checking out if you need to pick up some clothes or souvenirs for the folks back home. 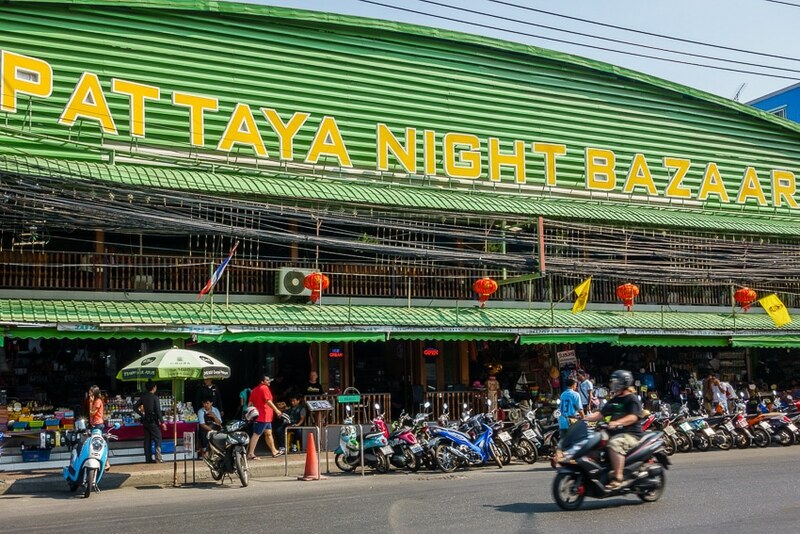 You might hear the Pattaya Night Bazaar be referred to as the Made in Thailand market by the locals as the beer bar complex of the same name is located right next door. The official hours state 10AM – 11PM but it seems they are often open later.